We collect data for everything. Virat's batting averages, stock market fluctuations, pollution levels compared to other cities, and, how many ATMs are functioning, how long it will take to print out new notes etc. The world is becoming more and more quantitative and data focused. Whatever information you may have, there are statistics to back it. "Statistics is the science of learning from data. It is the scientific study of how to collect, analyze, interpret and present data objectively in the presence of uncertainty. Statistics is the scientific method that allows us to draw conclusions from experi-mental data sets. It is a branch of mathematics that deals with the collection, analysis, interpretation, and presentation of masses of numerical data. Statisticians use this knowledge to design, collect, and interpret data surrounding many different fields from economics, medicine, psychology, marketing, public health, biology, even sports, and other fields. Statistics plays a vital role in every field of human activity. Statistics has an important role in determining the existing position of per capita income, unemployment, population growth rate, housing, medical facilities etc. in a country. Different areas of statistics include crime statistics, census statistics, ecological statistics, medical statistics, statistics on education, film statistics, cricket statistics, oil statistics, market statistics, accident statistics, labour statistics, population statistics, election statistics, district-city-state statistics, tourism statistics etc. so application of statistics is very wide. There is abundant data in every field or department. While collection of data is no small task, interpreting and presenting it requires special skills. Hence a statistician needs to undergo fundamental training in analytical aspects. Statistics is a branch of applied mathematics, but it's not just about numbers. A statistician's role is to give life to data. Statistics is indispensable in this modern age aptly termed as "the age of planning". 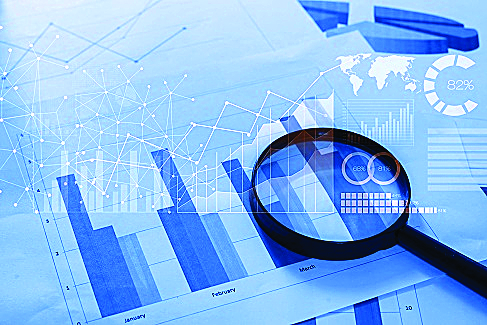 Statistical data and techniques of statistical analysis are immensely useful in solving economic problems such as wages, price, time series analysis, demand analysis. It is an irreplaceable tool of production. What Statisticians Do-Statisticians use mathematical techniques to analyze and interpret data and draw conclusions. Statisticians collect, verify and interpret data and use the same to solve problems in a wide variety of fields. The services of a statistician are required in every field right from government offices to international sporting events. The job of a statistician is not something out of the world, but something that affects each one of us in one way or the other. The minimum educational qualification required in this field is a bachelor's degree with a major in statistics or mathematics. To apply for an undergraduate course in Statistics the student should have passed 10+2 or equivalent examination with a minimum of 50% marks in the aggregate in Physics, Maths plus any one of the following: Chemistry, Statistics, or Computer Science. Though knowledge of mathematics is essential, statisticians should also have scientific knowledge and the ability to use computers to interpret the data. Indian Institute of Statistical Science (ISI) offers course in B.Statistics. (Hons) & Master's in Statistics. For bachelor's in 3-year B Stat (Hons) course requirement is successful completion of Higher Secondary (10+2) or equivalent with Mathematics and English. Selection of candidates is based on merit as judged by their performance in written tests and interviews conducted by the Institute. Colleges/ universities offer several specializations in statistics at undergraduate, postgraduate and research level. They include: Actuarial Science, Applied Information, Economics, Biostatistics, Business Statistics and Data Analysis. Statisticians must possess good IT skills, numerical skills, and analytical skills. *Statisticians need to be flexible and have a curious and disciplined mind. *It is very important to have a good background in computers as statisticians use computers extensively. *Statisticians are also heavily involved in the development of products and quality factors. They often work for automobile, pharmaceutical, or computer software companies in trial testing and product evaluation. Apart from development, statisticians are also involved with the manufacturing, asset, liability, and risk management, and marketing departments of firms. Mathematics: Statistics is branch of applied mathematics, and also plays a central role in almost all natural and social sciences. The methods of natural sciences are most reliable but conclusions drawn from them are only probable, because they are based on incomplete evidence. Statistics helps in describing these measurements more precisely. Banking: Statistics play an important role in banking. Banks make use of statistics for several purposes. The banks work on the principle that all the people who deposit their money with the banks do not withdraw it at the same time. Statistics is essential for a country. Different policies of the government are based on statistics. Statistical data is now widely used in taking all administrative decisions. Most government organizations and agencies hire statisticians to evaluate population, demographic, and economic measurements. Statisticians use sampling techniques to determine sizes of relative populations and demo-graphics, the unemployment rate, literacy levels, malnutrition numbers, dowry deaths and many other sociological issues. For example if the government wants to revise the pay scales of employees in view of an increase in the living cost, statistical methods will be used to determine the rise in the cost of living. Accounting is impossible without exactness. For decision making purposes, so much precision is not essential and the decision may be taken based on approximation, known as statistics. In auditing sampling techniques are commonly used. An auditor determines the sample size of the book to be audited based on error. In Natural and Social Sciences: Statistics plays a vital role in almost all the natural and social sciences. Statistical methods are commonly used for analyzing the experiments' results, testing their significance in Biology, Physics, Chemistry, Mathematics, Meteorology, Research studies of Commerce, Sociology, Business, Public Administr-ation, Communication and Information Technology etc. Astronomy is one of the oldest branches of statistical study; it deals with the measurement of distance, sizes, masses and densities of heavenly bodies by means of observations. During these measurements errors are unavoidable so most probable measurements are arrived at by using statistical methods. For e.g. since the old days astronomers have used statistical methods for finding the movements of stars and the distance of the moon from the earth. The job of Medical statisticians involves monitoring and surveillance of diseases and health patterns of the sample under study. It involves establishing the cause of disease or the factors associated with disease and death as well as analyzing studies to determine if new drugs and medical devices are safe and effective for pharmaceutical companies, medical research centers, or the Food and Drug departments. In the field of agriculture and agri-business, statisti-cians analyze data from agricultural experiments to increase productivity and yield. They also evaluate the environmental impact of air, water, and soil pollutants at a research laboratory, commercial environmental clean-up firm, or for the Environmental Protection Agencies. Employment opportunities are available in a multitude of areas, providing statisticians with professional flexibility; exciting opportunities and rewarding, challenging, and lucrative careers. Students with a degree in B.Sc. Statistics are eligible to apply for various jobs in Banking, IT, Quality control etc. They can even take up Actuarial Science as a specialization and join in various financial and share trading companies. Candidates with good flair and knowledge in Statistics are in huge demand in the present scenario. A student with Masters or Ph.D. in Statistics can apply for jobs such as business analyst, statistics lecturer, professor etc. They can also go for jobs like software engineer, investigative officer, statistics analyst, researcher etc. Most government organiz-ations and agencies hire statisticians to evaluate population, demographic, and economic measure-ments. Many other environmental, scientific, and agricultural agencies hire statisticians for similar type of work in their respective fields. Even national defence organizations hire statisti-cians to assess weapons and strategy effectiveness. In the government sector, UPSC carries out entrance exam to recruit candidates to the Indian Statistical Services. For this a Masters in Statistics or Maths is required to apply for the post. The SSC also carries out a recruitment process so as to appoint eligible candidates into the Statistical Investigators post. The Private sector also requires qualified Statisticians in the Insurance, IT and software fields. Some of the most renowned global Statistical organizations are Euro-stat, IAOS, OECD, and UNESCO.